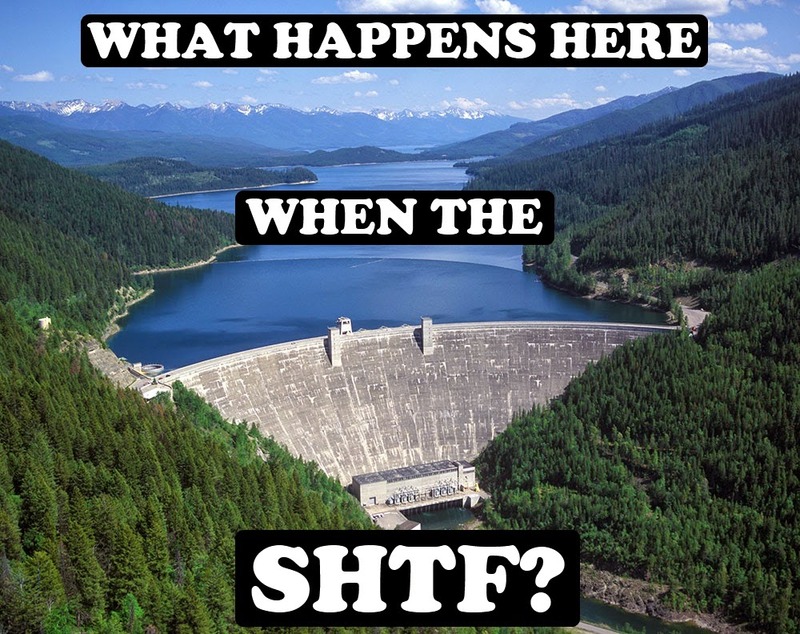 WHAT HAPPENS TO DAMS WHEN THE SHTF? I didn't know the answer to this, but knew it was important, so I researched it. I'm not an expert, so I'll give you quotes from some who know more about the subject. The general impression I get is that dams will more or less remain in the flow position they are in when the dam is abandoned. If the electronic controls go out, there are manual controls, but they take a really long time to adjust. If the waters rise to the point where the dam will overflow, there are usually, but not always overflow spillways, which will allow the excess water to go over, through, or around in a controlled manner to do little damage. The concrete structures themselves are very very strong, however dams need continual upkeep and maintenance. One source says that if left alone the inner chambers will begin to flood in a few years and that will result in the dam failing not too long after. So, I don't know about you, but I'm just gonna avoid dams and being downstream of them in a post-collapse scenario just to be safe. "It all depends if the gates automatically close or open when electricity fails. Overflow or flood gates that aren't able to open might create a problem of excessive stress on the dams." "Actually there was something about this on Discovery. That statistics on dams in the US as far as deficiencies is amazing. For instance, the number of High Hazard Dams, those whose failure would result in significant loss of life, in need of repair was 364 in 2001. That number rose the 1,743 a mere six years later in 2007. Now this is a relatively low number considering Oregon has about 84,000 dams alone, 225ish are ranked "high hazard" but, when you see a 500% increase in dams that have a high probability of failure and causing a significant loss of life in a mere 6 years that's a little unnerving." "According my friend who worked the dams as an engineer for most of his adult life . might not be a worry in the first couple years but soon." "Without continuous maintenance, they will eventually fail. The upkeep is critical. 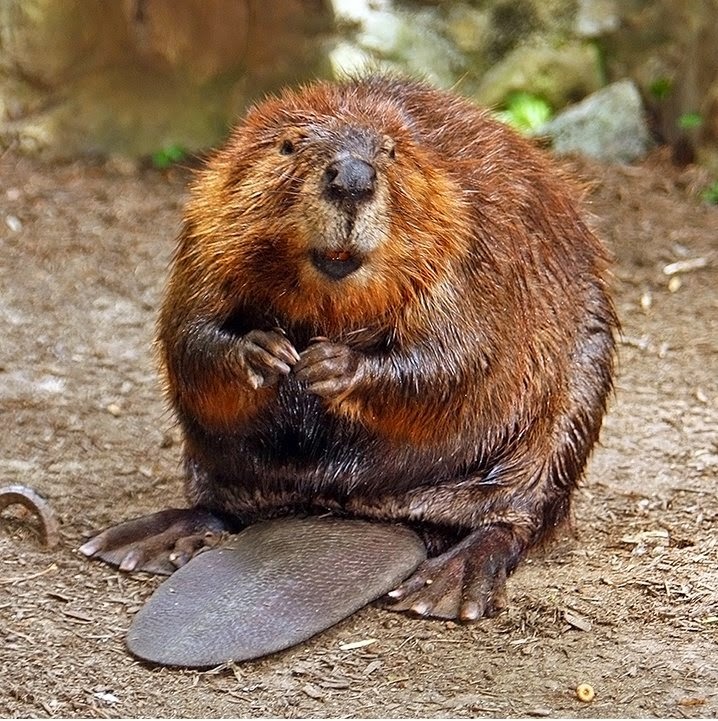 There is one on the Cumberland River in KY that is leaking around the edges NOW and they are working on a fix for it but without that work that dam will fail." "While dams are arguably useful for these purposes now, their existence can create significant hazards and uncertainty during a prolonged TEOTWAWKI event. Most larger dams have outlet works that can be opened and closed to regulate the height of water stored behind them. 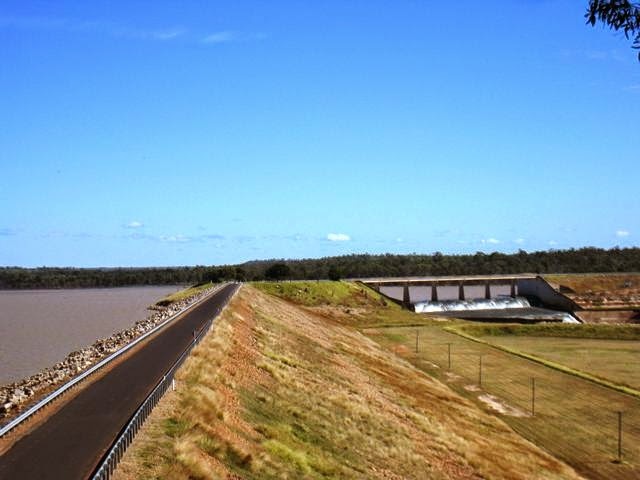 Some also have a spillway, which is basically an emergency release mechanism to prevent water from overtopping a dam when the water coming into the reservoir is greater than the water that can be released by the normal outlet works. The purpose of a spillway is to protect the dam from damage. 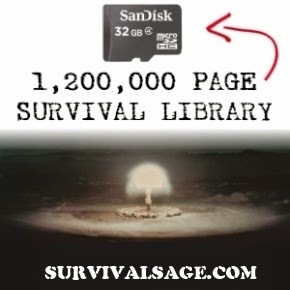 If and when SHTF, it is difficult to predict how all of these dams will be left (i.e. outlets opened or closed). If outlets are left open most reservoirs will eventually drain completely. If outlets are left closed, reservoirs will likely fill and cause spillway releases or will overtop dams. The status of the outlet valves will dictate the water level in the reservoir and will influence the flow in the downstream body of water. The effect will vary dramatically depending on the size of the dam. The status of outlets will also dictate downstream safety. Dams without spillways whose outlets are left closed will create a significant downstream flood danger. As a reservoir fills, the water exerts increasing pressure on the dam. The increase pressure can result in earthern dams becoming saturated which weakens the structure significantly. Moreover, if a dam is overtopped, the flows can scour the dam which weakens it. 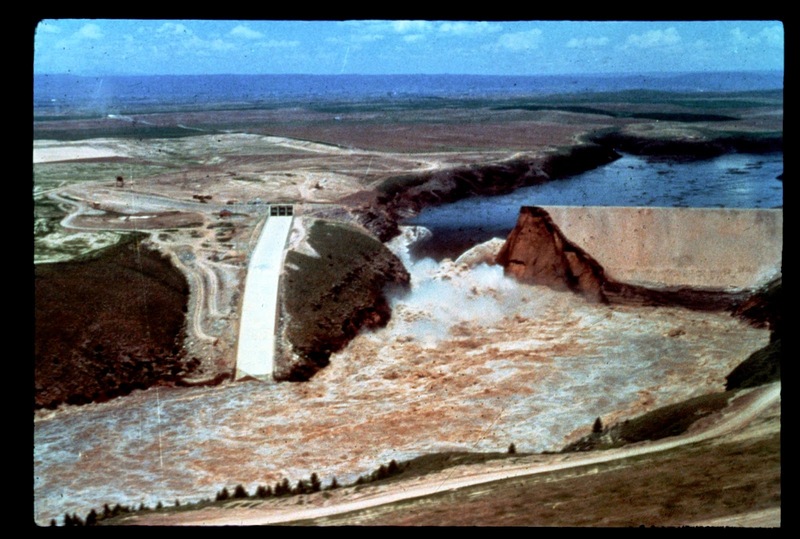 Even dams with spillways may be weakened from repeated spill events. The breach of a dam can cause massive flooding and damage as it results in a huge release of water. Here is a link to a report of a large dam failure outside of Estes Park, Colorado: http://en.wikipedia.org/wiki/Lawn_Lake_Dam. The bottom line is that you do not want to be downstream when a dam fails, and the likelihood of such a failure will increase during a prolonged TEOTWAWKI event, as maintenance of these structures ceases and they are left in dangerous conditions. Moreover, spillway releases are nothing more than partially-controlled flooding and can cause serious damage. Here is a link to a photograph showing a spillway in operation. The spillway is to the left and the outlet works are on the right. Thus, even where dams are behaving as designed, they can cause serious downstream carnage. Being aware of dams near your home or retreat is important for both safety and for water supply purposes. If the level of the lakes or streams that you plan to rely on when SHTF are influenced by dams, you need to be aware of this to adequately assess water availability and to plan for any changes that may occur when the operation and maintenance of these structures abruptly ends." "This is an interesting question. I'm writing this from the control room of Ross Powerhouse were I began my career on Monday April 29, 1974. I've been in Hydro Operation for a while. The generating plants that were here in the 1960's and some in the early 70's would be recoverable after an EMP. Today's plants would be toast. For decades now, I've watched bad Engineering decisons wreck the reliability of generating plants. I've seen processor driven automated systems replace manual controls, the manual controls removed, then the only Engineer that understood the new system at all leave the utility to go to another state. Generally, gates do not open automatically. And, given that emergency generators at the dams have electronic controls these days, getting power to open them would be a challenge after an EMP. It's theoretically possible to crank open the two 72" butterfly spill valves in the center of Ross Dam and the three 78" butterfly valves in the center of Diablo Dam, using hand wheels. But it would take a good crew a full day of constant cranking for some of them. For the spillgates you need power. For 16 of the 19 gates at Diablo you need to push a 5,300 lb. "mule" onto the dam, hook it up to power and use its hydraulic grapples to lift the gates. THe two 47 by 500 ft. gates at Gorge need power for a 15hp three phase motor, and even its lower outlets are gates that need power. Most concrete masonry dams are well constructed and can withstand a certain amount of overtopping, but it won't do them any good or make recovery any easier. As to the generating plants, if we have battery power or other stored energy (sometimes a pressure accumulator) to close the penstock valves, or opportunity to put gate locks in place, we can keep the generators from spinning up and damaging themselves as all power and pressure on the gate servos is lost. If the plant has a functioning water powered sump eductor and we turn it on, we should be able to keep the powerhouse from flooding as long as there is water in the power tunnel. The dams themselves are built to last. Concrete is weird stuff, it never really stops curing, only slows down. 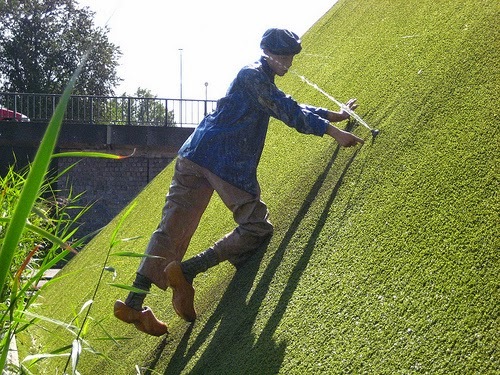 At 50-80 years, good concrete is very good, indeed. At 150 years, it may actually be getting a bit brittle. I don't see these plants as recoverable from EMP in less than... well years, if major equipment is damaged and more has to be ordered, built and transported. Working around delicate electronics to get something running could be done in weeks or months, but that requires some materials, too. And it requires a full time operating staff that no longer exists. The solid state exciters common on modern generators would not fare well in an EMP event. No excitation means that big alternator does not make much power. With the generators down for the count, our biggest immediate challenge would be configuring the dams to not be overtopped and perhaps to function as some degree of flood control. Example: the water behind Ross is 82 feet below full right now, because the storage reservoir cycles seasonally. If we could get enough lower outlets opened, leaving space for the lakes to fill before getting close to the tops of the dams, we could still use the dams to even out some of the peaks during flood season. But as far as power, don't hold your breath. Federal law requires us to have an "Emergency Action Plan" for the event of a dam breaking or threatening to break. It does not require us to have a plan that would work in an earthquake. We are not required to plan for an EMP event. If we have a solar event like the one in 1859, I'd say our society is back to about the year 1900. I am my utility's most senior Hydroelectric Operator. I collect kerosene lamps. Think about it. In most of our critical infrastructure, not just the electrical industry, we see the skilled blue collar people who keep it working gettting older and older and finally retiring. Very few youngsters are coming up through the ranks. Recently, it gave me pleasure to see two bright young Apprentices "top out" and become Journeyman Electrician Constructors. But this was in a time and place where it should have been a dozen, not two. Physical assets are not being adequately maintained. "Managment" is more and more the political type who will postpone maintenance and upgrades to cut costs. The term "crumbling infrastructure" is accurate. But perhaps equally important is the loss of institutional knowledge and experience as the most experienced people are leaving, or in some cases being driven out, without adequately trained and experienced replacements coming aboard. We live in a nation of MBA's who cannot wire a house, fall a tree, or even change a tire or drive a nail. Brace yourselves." In recent years, much as been done in the way of recalculating Possible Maximum Floods and finding methods to "harden" dams in the event of overtopping. But they weren't really designed for the water to just flow over them. Oh sure, you can design for "surcharge." The full elevation of Gorge Dam is 875 ft. above sea level; that's the top of the gates. But those gates are designed for 5 feet of surcharge. That is, you can let the lake "pile up" as high as 880 ft (but not more, because the roadway on the dam is at 880). Water flows over the top of the gates, but it's not a huge flow compared to opening the gates because it's not under much pressure. BTW, if you're planning a micro hydro, it maybe be useful to you to know that with fresh water you get 0.434 psi for every foot of head. Take water from 100 feet above your site, and you have 43.4 psi at your site - until you start it flowing and have to deal with pressure losses due to friction in your supply line. I really don't want to think about the headaches we'll face at our dams and powerhouses if we get hit with a violent EMP event. The solar event of 1859 had telegraphers thinking their equipment was possessed, and where they had instruments with rolls of paper and a pen to record dots and dashes it actually set the paper on fire. I can't even imagine the damage such an event would do to today's society. (another said that you would think spillways would always being built into the top of the damn) "You'd think an open spillway could be built with its sill at "full" elevation, "just in case." But not really. The flows in a Possible Maximum Flood would be very large, the dam's gates are designed with that as the maximum they can pass with all gates open. But that is with water level well above the sills of the spillways. A simple open spillway at "full" level would have to be too large and would still "pile up" water well above normal full level, and you can't have that. Instead, along much of the top of the dam you have a bunch of gates that can be opened when you see the flood building and realize you won't have room in your reservoir to hold it. Over the years, they've recaculated PMF for a number of dams, coming up with high figures, and worked on modifying the dams to survive the new PMF. I've seen a number of ideas. Sometimes it's hardening the face of an earthen dam with roller compacted concrete. Sometimes it's modifying a concrete dam with a lot of the crest being "one time use" emergency breakaway gates that can be cut released in an emergency and allow the dam to spill a lot more water - but not refill its reservoir until the emergency gates are replaced. Sometimes modifications to dams to hold back a but more water are poorly thought out. Imagine adding splashboards so that dam could hold back a few more feet of water, but also making its new height at bit more than the height of the bank near the intake for your plant - and placing your emergency generator to power spillgates in an emergency, out on the dam with vulnerable remote control cabling located so it can be easily damaged by flooding - by which time people can no longer access the dam at all. Look into the Upriver Spokane Dam washout of 1986 sometime. Look into the much more recent and totally preventable Taum Sauk disaster the overtopped the reservoir of a large pumped storage plant. More and more, I'm coming to agree with Murphy about things going wrong, and to believe if there's a way for people to screw it up, sometime, somewhere, they will. The Chernobyl disaster was because a new know-nothing Junior Operator came up a a "better way" to do a shutdown from full power. All experienced hands said he was nuts. But he was the son of the installation's Political Officer, who is the most powerful person there, more so than the site Superintendent. So they tried it his way - once..."
Back on the original topic: There are dams that have spillways designed to simply start flowing at a certain water level. But lots of dams are NOT designed that way. More typical is something like our dams, where you have spillgates and often smaller outlets located lower than the gates, but they need to be operated. And that dam is not designed to handle overtopping without damage. You would think. But they aren't designed that way. "Full" will be the top of the gates. The reservoir is seldom run more than a few feet lower than that, usually not down near the gate sills - a typical taintor gate might be 20 feet tall (they can be much larger). The exception is a seasonal storage reservoir where the lake might drop many feet in winter, or maybe a pumped storage reservoir where it cycles daily but high flow flooding isn't an issue. The road on top of the dam is just a few feet above that "full" level. " Sure, an open channel emergency spillway is a good idea. But lots of dams are not built that way. If designing one that way, you'd calculate how high the water in the lake would get with Possible Maximum Flow through the emergency spillway for a number of hours, and you'd have to design your dam to handle water to that level - but in normal operation you'd never run with water level above the sill of the opening to the emergency spillway. I might just have this guy build my reservoir dam. FLEE AMERICA WHEN THE SHTF?? ...I'm sorry, but it is possible that by leaving America, you might actually help out Americans better in the long run. I'll explain later. The couple events I'm thinking of that could cause the collapse of US society, but not global society would be an EMP attack, major nuclear war with at least 4 strategic hits on US soil, a very major coordinated terrorist attack, Yellowstone blowing, the La Palma tsunami, and perhaps a couple others. If any of these events happen, the whole world will suffer and there will be a dramatic global economic crash, but most other countries will hang on (Except for maybe Yellowstone blowing.) In a previous blog post, you can see the chances of global society collapsing in the next 50 years vs US society only collapsing in the next 50 years. Global society has about a 30% chance of collapsing, while US society has about a 49% chance of collapsing. So, if a future event is in that 19% possibility where only America (possibly all of North America) collapses, it can be a good idea to flee America to survive and survive well. Does it really make sense to hide out in the woods and have a subsistence lifestyle, when you could travel to a place that hasn't collapsed and continue living a somewhat normal life? No. 1) You and your loved ones will have a better chance of surviving. If you remain, you will have many threats, such as murder, starvation, dehydration, city fires, wildfires, illnesses, nuclear radiation, pollution, etc. If you leave, you can avoid all these threats. 2) You can continue to have a semblance of normalcy. You can still have electricity, shop at stores, travel, interact with other people without fear, browse the internet. You will be able to live in the 21st century instead of being forced to live in the dark ages. 3) You can aid in the recovery effort to help get America back on track. Let's say America collapses and you make your way to Australia. If you are a knowledgeable person about post-collapse scenarios, you can offer some advice to the Australians who will engage in relief efforts. If you have any stories from America to relay, you can speak to the media and describe the horrors that people are going through, in order to encourage donations to help the relief efforts. Or, you can find a new job, work hard, and donate money for relief efforts. Those are the three reasons why I will try to leave America if the SHTF in America only. But the big question is, how do you leave? Depending on the scenario, you might be able to dash over to the airport and take the next international flight to a country of your choice that hasn't collapsed. That would be ideal. The backup plan would be to sail to another country. I highly recommend having a sailboat or access to one. If you don't have the money, you might be able to partner with someone who owns a sailboat. You can bring food, an emergency desalinator, survival supplies, and knowledge, and he'll provide the boat. In a pinch, you can even go down to the docks and work out a deal with a boat owner who is leaving out of fear. You can explain to him what's going on, what's going to happen, and why he should partner with you. He's got a boat, you have a plan. In a worst case scenario, you could just take a boat. If the shtf, most boats will just be left in their slip anyways, but it should only be as a last resort, and you should try and find a rental boat. I prefer catamarans. They are faster and more stable. You could either sail all the way to the country of your choice, or just sail to the nearest working country that has outbound flights. For you west coasters, Hawaii or Alaska might not be collapsed yet, but the value of the dollar will collapse quickly, so if those states survive the initial event, they will likely collapse soon too. However, you might want to cruise by Hawaii and take a look. If the gps and other navigation systems aren't working, you should be prepared to navigate the old fashioned way. Good luck all!